← PACC 2015: again we improved our own top score! 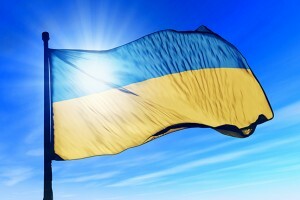 During the PACC contest last weekend we had contact with lots of Ukranian radio amateurs. However, there is a terrible war going on in this country. So… does this war impact amateur radio activity in Ukraine? At first you would think that people in conflict areas are too busy with hiding and surviving. However, when the shootings stop or move away, they seem to pick up normal life very quickly again, including sports and other hobbies. Such activities clear their minds and help them to feel happy, despite all troubles. An amateur radio station in a war zone is also very valuable. Radio amateurs are very handsome in setting up communications in areas where electricity, phones and internet are not available anymore. We all know the TV scenes from war and disaster areas, where radio amateurs provide the first inside information and emergency service. Ukranian amateur radio stations during the PACC contest. The yellow markers show the amateur radio stations, while the red markers show some important places regarding the war. 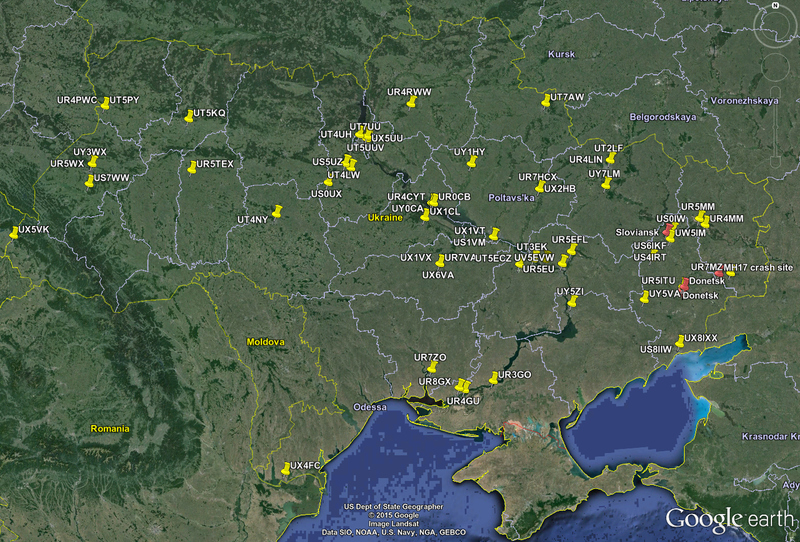 As you can see the stations are about equally spread across the country, even in the war zone (eastern border). So despite the conflict radio amateurs still participate in the PACC contest (and probably other contests too). It feels good to realize that making radio contact with all these Ukranian people might help them just a little bit to set their mind to a nice mood and forget all the terrible things for a moment.